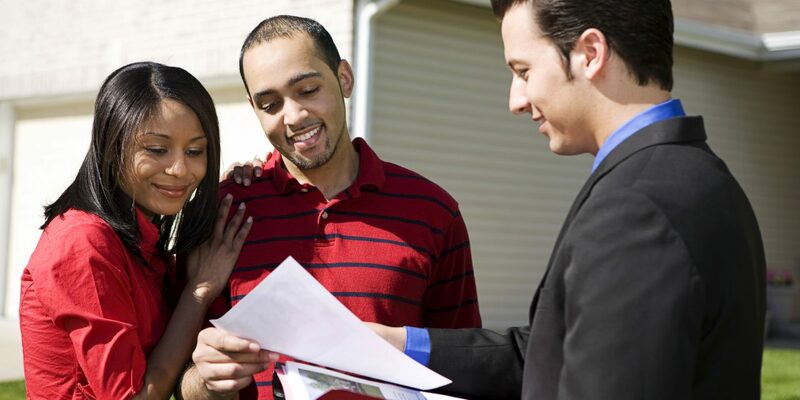 Renters become homeowners for many reasons. However, deciding whether they are better off financially by renting or buying a single family residence (SFR) is far more involved than just comparing their monthly rent payment against their proposed mortgage payment. 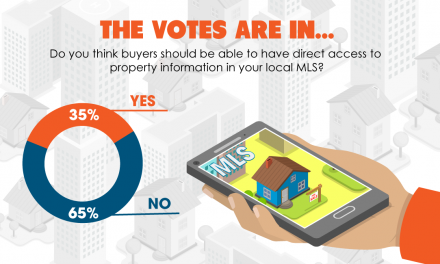 For real estate agents, one convincing tool readily available for use in a discussion with prospective homebuyers is preparing and reviewing visual evidence of the financial benefits generated by homeownership. The Buy-Versus-Rent After-Tax Analysis form succinctly outlines how to efficiently compare monthly costs of renting versus owning for your buyer. The presentation includes mortgage interest deductions, tax savings and equity growth achieved based on your buyer’s home price, down payment and tax bracket. All comparative data are presented in the form as monthly and annual figures that buyers will quickly comprehend. Further, the form performs all the critical calculations for you. The following instructions are for the use of the Buy-Versus-Rent After-Tax Analysis. Each section of Form 320-4 has a separate analysis which is used to determine the final results. 1. The costs of renting: This section illustrates the total monthly cash outlay currently experienced renting shelter. 1.1 Enter the monthly rent payments. 1.2 Enter the month utility expenses, including gas, electricity, water and trash. 1.3 Enter the tenant’s renter’s insurance premium (calculated on a monthly basis). 1.4 Enter any monthly parking or storage charge. 1.5 Enter any monthly recreation or fitness facility charges. 1.6 Enter any other monthly occupancy and tenant expenses incurred. 1.7 The total monthly before-tax expenditures experienced by your buyer is automatically calculated. 2. The costs of homeownership: This section illustrates the total monthly costs of homeownership the buyer of a property will likely experience (exclusive of the transactional costs of acquisition). 2.1 Enter the price of the property to be purchased and check the box to indicate the property tax rate (the annual property tax will automatically fill based on the price and rate). 2.3 Enter any assessment bond principal amount (e.g., street or solar), its interest rate and annual payment (the monthly payment will be automatically calculated). 2.4 (a – l) Enter monthly non-deductible carrying costs of ownership, itemized as homeowners insurance, utilities, repairs and maintenance, homeowners’ association (HOA) payment, solar panel lease payment and any other monthly home expenses. The total monthly nondeductible carrying cost of homeownership is automatically calculated. 4. The monthly tax savings analysis: This section illustrates the total monthly after-tax expenditures for ownership. 4.1 (a – e) Here, the total monthly deductible ownership expenditures for mortgage interest, street/solar assessment bonds, PMI/MIP and property taxes is automatically calculated. (f) Check the appropriate tax rate of the household. 4.2 Here, the monthly savings from reduced income taxes is automatically calculated. 6. 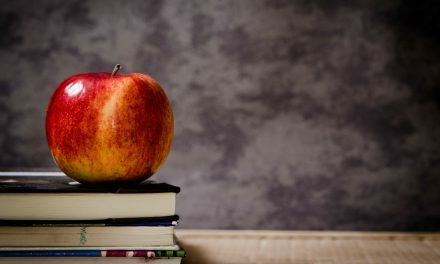 Additional year-of-purchase tax savings for mortgage origination: This section illustrates the total deductible year-of-purchase tax savings for mortgage origination costs. 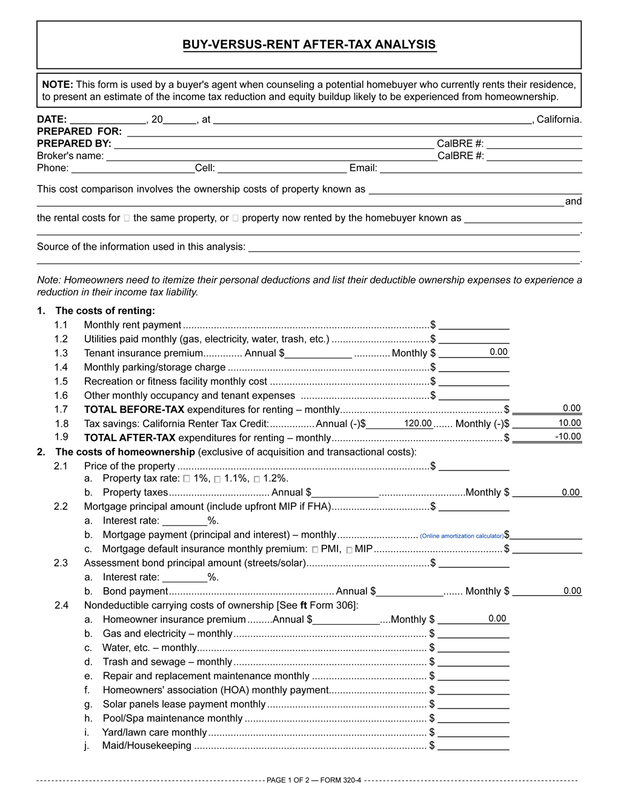 6.1 Enter the mortgage origination fees. 6.2 Enter the prepaid interest for month of closing. 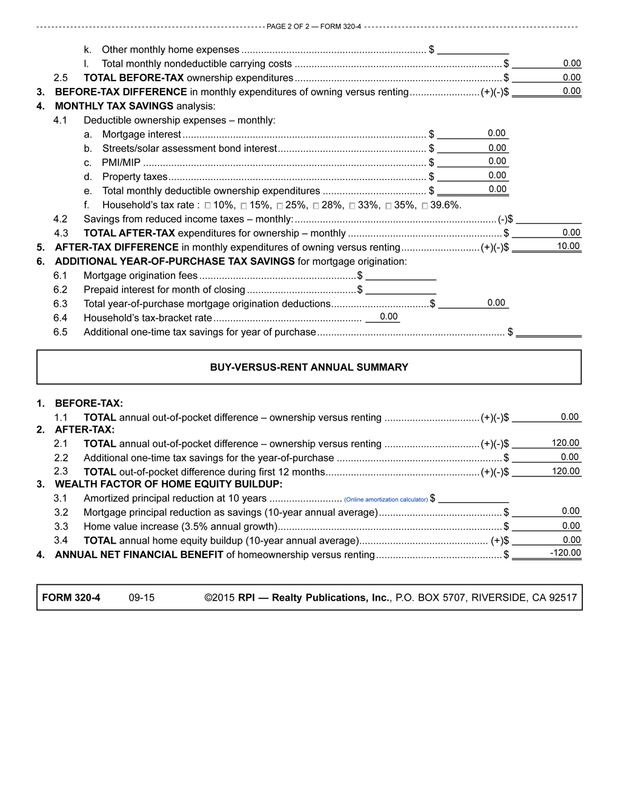 6.3 Here, the total year-of-purchase mortgage origination deduction is automatically calculated. 6.4 Here, the household’s tax rate is automatically displayed. 2.1 Here, the total after-tax out-of-pocket difference during first 12 months of ownership is automatically displayed. 2.2 The additional one-time tax savings for the year-of-purchase is automatically displayed. 3.2 Here, the mortgage principal reduction as savings (10-year annual average) is automatically calculated. 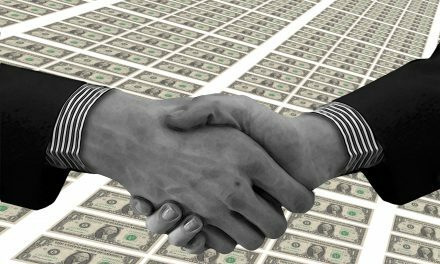 POLL: Are fees paid to brokers for referring clients to home warranty companies kickbacks? POLL: Should the DRE reestablish its code of ethics?